FRANKFURT -- German automakers cannot be forced to retrofit polluting diesel cars unless excessive emissions are caused by deliberate fraud, an expert report, being reviewed by Germany's transport ministry, showed on Tuesday. The expert opinion supports Germany's current stance of relying on software upgrades rather than compulsory rebuilds of exhaust management systems on cars with high pollution levels. So far, no manufacturer other than Volkswagen Group has admitted to using software to recognize when a car is being put through an emissions test cycle in order to deliberately mask pollution levels under normal driving conditions. A regulatory clampdown on toxic emissions has, however, revealed several automakers often exceed pollution limits because they make use of a so-called "thermal window" to legally throttle back emissions filtering systems to protect engines from condensation. 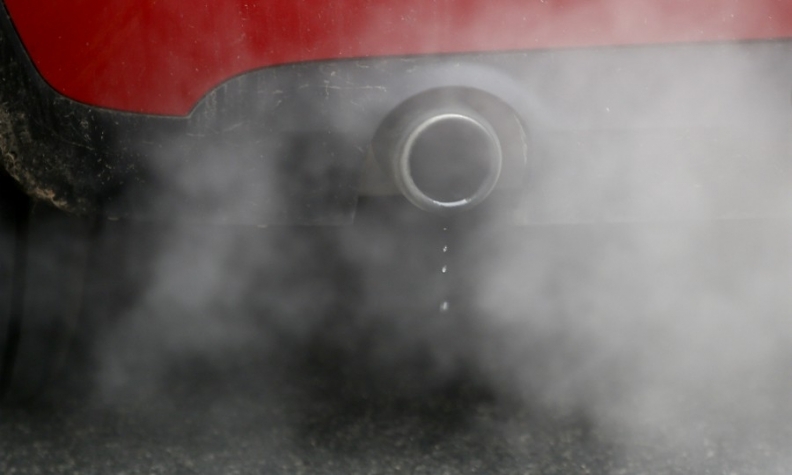 German environmental groups argue upgrades to exhaust systems on polluting cars should be made compulsory, but Transport Minister Andreas Scheuer has said software updates to improve the effectiveness of filtering systems is sufficient. The expert group was divided on the cost and merit of retrofits. Retrofitting diesel cars would cost at least 5,000 euros ($5,935) per vehicle for cars with Euro-5 engines, and the environmental benefits would only become effective in three to four years, some members said. A federal court ruled in February that German cities could ban the most heavily polluting diesel cars from their streets. Chancellor Angela Merkel wants to avoid such bans, calling instead for tailored solutions to bring down car emissions in heavily polluted cities. The states of Bavaria and also Lower Saxony, home to Germany's biggest car manufacturers, want to introduce incentives or tax breaks to encourage car owners to retrofit vehicles. Lower Saxony, home to Volkswagen, suggested vehicle owners should receive up to 2,000 euros in incentives and tax breaks to fund retrofits, the cost of which should be borne by manufacturers and the federal government. Germany's finance ministry has shown no willingness to subsidize such incentives. The German car industry, which accounts for some 800,000 jobs in Europe's biggest economy, is struggling with a global backlash against diesel cars after Volkswagen admitted in 2015 that it had cheated U.S. diesel exhaust tests. On Tuesday, Germany's transport ministry said Audi, a premium brand owned by Volkswagen, faced another investigation of vehicles suspected of being fitted with illegal software.